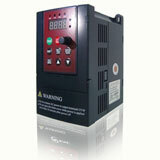 Delta VFDs have been established well-known brand in the industrial automation market. A variety VFDs are design differences according to different torque, loss, overload, over-speed etc. and make adjustment based on different mechanical; Provide customers with the most diverse selection, and is widely used in industrial automation control applications. 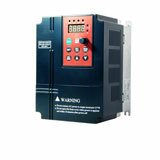 ABB VFD drives are developed, manufactured and sales by ABB Group, it’s a famous brand VFD. It’s mainly used to control and adjust three phase AC motor’s speed. Due to its stable performance, rich combination of features, high performance vector control technology, low speed with high torque output, good dynamic characteristics and superior overload capacity, ABB drives occupy an important position in global VFD markets.